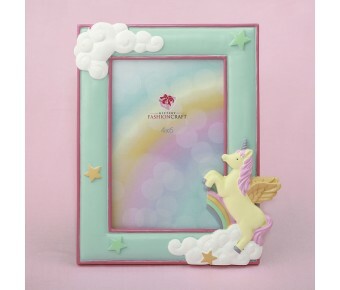 Let a magical unicorn and fluffy white clouds frame a special photo of a little one! This adorable frame makes a great baby shower gift. The frame is made from poly resin and is delicately hand painted in lovely pastel colors with a mint background. It offers an opening for a standard 4x6 frame. The frame features a raised unicorn in the lower corner with white fluffy clouds and stars. Delight your clients when they come looking for an awesome baby shower gift. 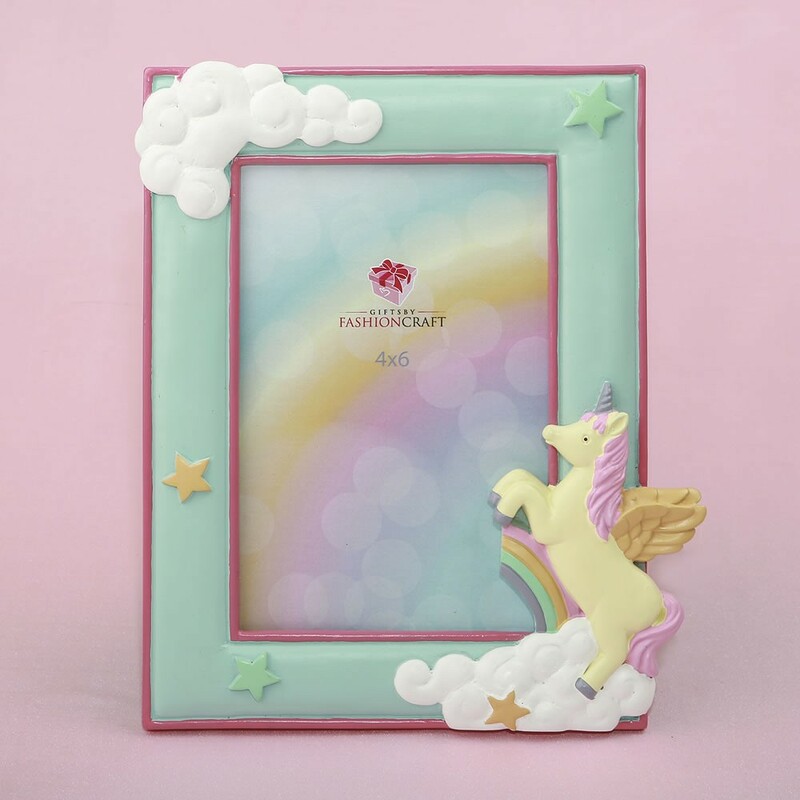 This unicorn frame will make them smile! An adorable baby shower gift!